Fall is coming fast, and you don’t want to be seen wearing last year’s threads when your co-workers accidentally mistake you for the Seamless guy, again. It’s tough for your average white co-worker to tell the difference between brown people, so check out these 7 shirts to help make it easier for them! 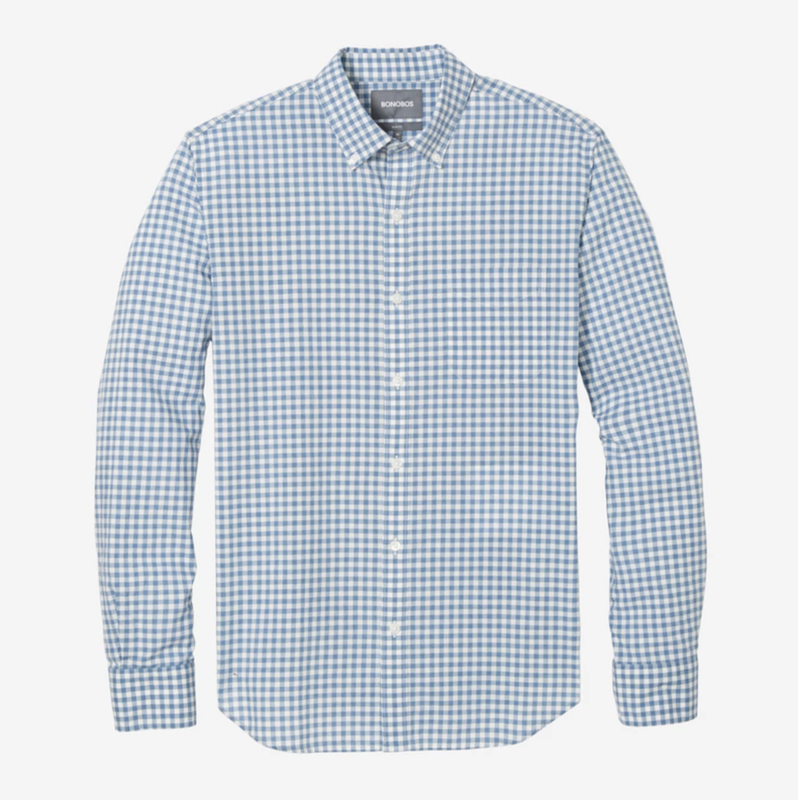 Dress to impress in this blue gingham shirt, perfect for any business casual workplace. Practically everyone in the office has this shirt, so there’s no way Jared the admin will assume that paper bag you’re holding is his Sweetgreen quinoa bowl, again. This white button-down may look a little formal, but it’s always better to be overdressed than underdressed. Most importantly, the subtle Excel spreadsheet-like pattern will gently remind everyone you work in an office setting, before they stop you in the hallway and ask “are you lost?”, again. Ah, the crusty-owner-of-an-NFL-franchise uniform. While we think the contrast collar is soooooo last century, this dress shirt will serve your co-workers a reminder that you were actually at their wedding. This rugged workwear shirt retails at $500 on the official Yeezy store, which is well worth the price of not getting handcuffed by security in front of the elevators, again. This might look exactly like Shirt #1, but look closer. Notice the torn elbows and yellow stains on the collar? That’s right, this is Jared’s shirt! One look at you wearing his shirt and he’ll forget all about his instinct to yell at you in broken Spanish for being an hour late with his goddamn quinoa bowl, again. Make Summer Fridays count with this minimalist graphic-tee that’ll tell all your co-workers you’re not the delivery guy, with the message “Not The Delivery Guy”. So, none of the above worked. It must not be you, the rest of the office must be pretty racist. Drop off your resignation letter in style with this white tee, but make sure to do it before Labor Day!